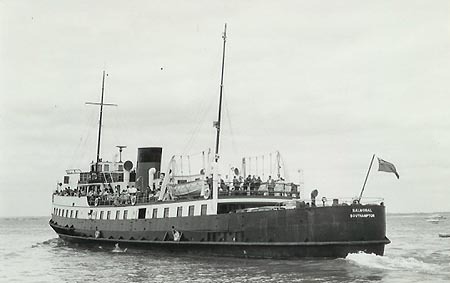 Between 1937 and 1969 this paddle steamer "Ryde" was in regular service on the Portsmouth to Ryde-pier crossing. 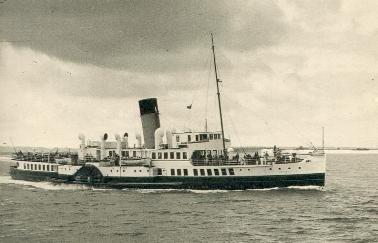 But more modern vessels similar to the Balmoral were also used. At Portsmouth harbour station, on leaving the train it was merely yards to the ferry berth which was reached via a short ramp. After a thirty minute crossing, one's next train would be waiting at the Ryde Pierhead terminus with regular departures to the principal towns of the Island. A typical Island train trundling unhurriedly through typical Island countryside. Or perhaps the visitor would choose to travel around the Island by bus? The first two of these lovely old pictures were sourced from various Island websites. 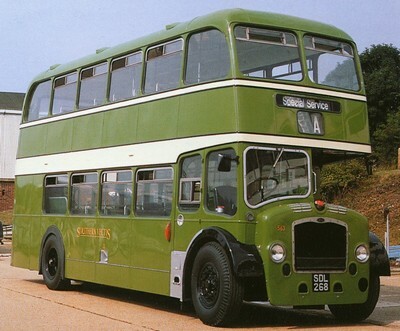 This nineteen fifties bus in its original leaf green livery, is taken from a 'Nigh' postcard purchased from the Isle of Wight Bus Museum which is located adjacent to the Boat Museum on Newport Quay. 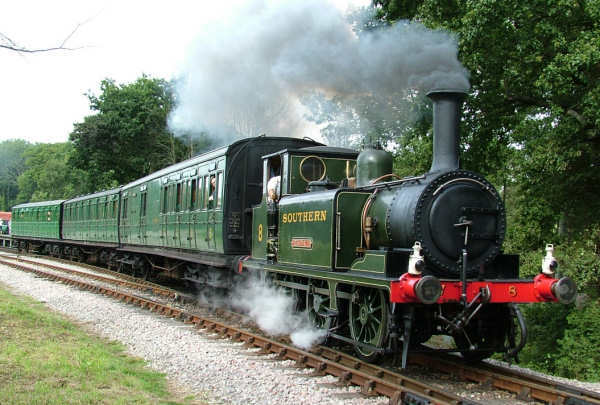 The photograph of the train comes from the Isle of Wight Steam Railway web site. A day out at Havenstreet is a most enjoyable and interesting experience and is one not to be missed by the visitor.